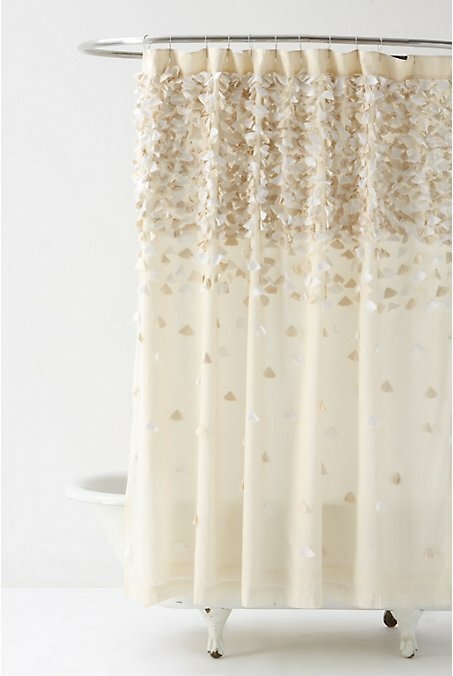 I'm planning out a minor bathroom update, and I need to get a new shower curtain. 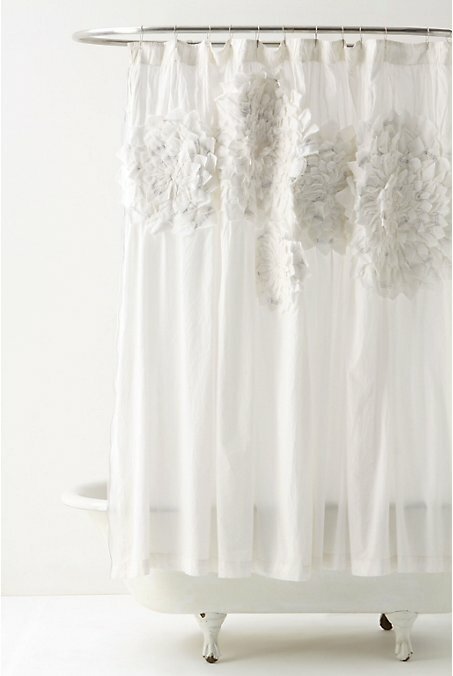 I've been searching high and low for what is my perfect shower curtain: something white with elegant details. Why is it so hard for the manufacturers to make this? 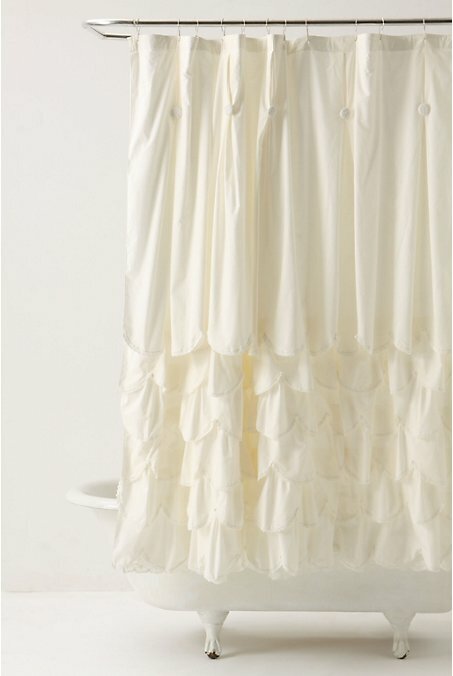 Everything I find is too industrial-looking or frou-frou. 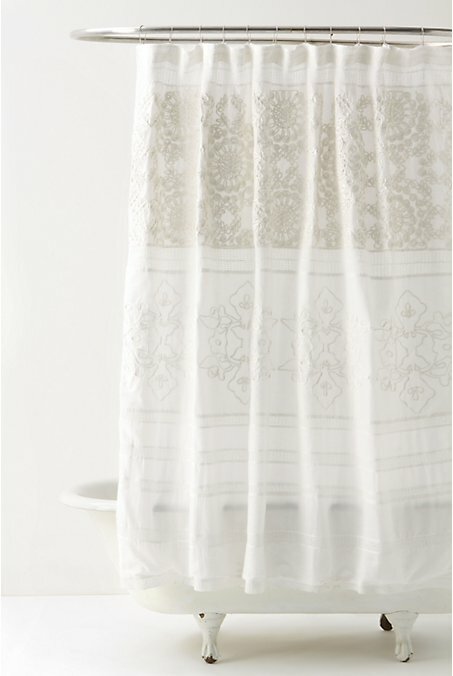 I finally found where they've been hiding these perfect shower curtains: Anthropologie. They have several options that I simply adore.... except for the price tag. Unless I get completely desperate or win a decent sum of money, these babies are out of my wallet's reach. But they are lovely, aren't they? Sculpted Mums ... this is my favorite. Tender Falls ... love this! Looks like a party dress. 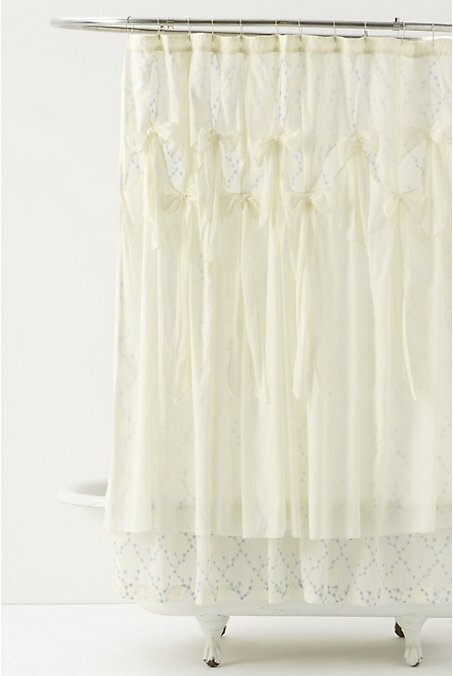 Diamond Falls ... this one is on sale and would actually be perfect if it weren't for the blue details. I love all these!!!! so cute! World Market has some really cute affordable options if you are still looking! Thanks, lg! Headed to check them out right now!